Repression in Nicaragua is getting worse, at this point we have 49 dead, tv channels are being taking off the air, news websites have been attacked and today Ortega's Govt. called a meeting with Internet providers. 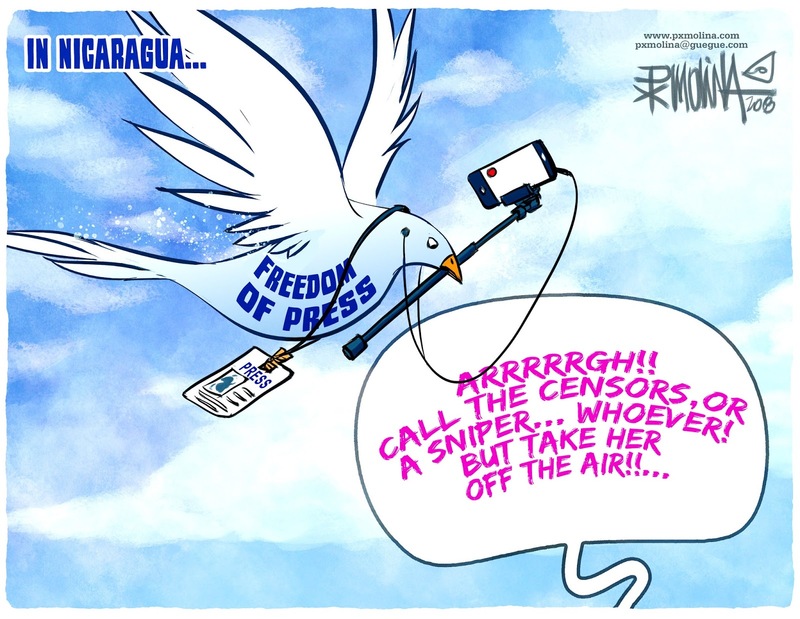 Many think Ortega and his wife and Vice-president Rosario Murillo will try to undermine the access to social media which the people are using to keep informed since most of the TV channels in the country are owned by Ortega's Family or his partner, the famous TV mogul from Latin America named Angel Gonzalez (The "Ghost"). Because of all this the independent media, journalists, editors, columnists, photographers, cameramen, writers, cartoonists, bloggers, foreign correspondents and media owners in Nicaragua jointly signed a statement in defense of freedom of the press and expression, and demanded that an independent commission investigate the acts of repression that have occurred since April 18.